Two Stouts and a Porter | Simon Says… You really should drink this! 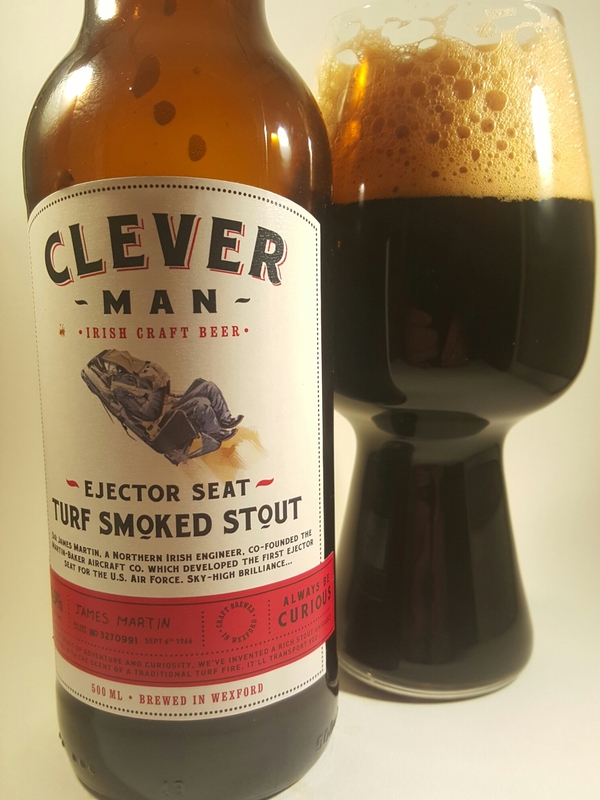 My second Clever Man beer was their Ejector Seat Turf Smoked Stout. Well, it didn’t eject me out of my comfy chair besides the fire, I mean that in a good way, I spent almost an hour sipping this well made Stout. I shared The Glass Sandwich’s review in my second last post, I didn’t put this beer inside the fridge door at all and it tasted all the better for it. Well worth trying. 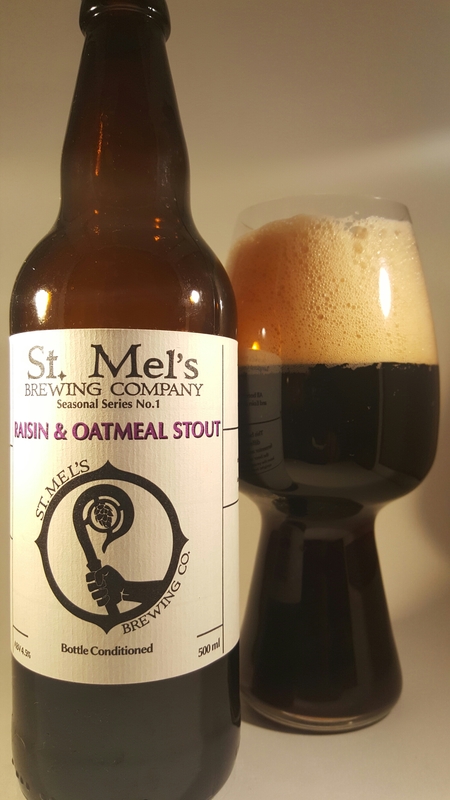 Liam Hanlon from St Mel’s gave me a bottle of this year’s Raisin and Oatmeal Stout to try at the Longford Christmas Market. I said last year that it was a lovely smooth Stout and that hasn’t changed. I did ask Liam if they remembered to include the raisins this year and he assured me ‘there was smoke coming off the raisin chopper!’ I mostly got the vinous quality on the nose myself but give it a try for yourself and see what you think. Finally I had O Brother’s latest single batch beer; a Coffee Porter called Joe. They brewed this using coffee from Coffee Mojo. My wife complimented the funky label. The head looked more tan than any of the other beers above, even if that’s not clear from the pictures. This was definitely one of the nicest coffee porters or beers I’ve had in a long time. It’s warm, rich and creamy. To be fair, all three beers show how good the Irish Craft Beer breweries can be at producing quality Porters and Stouts. Put them on your shopping list. Sláinte! This entry was posted in Uncategorized and tagged Beer, coffee, craft beer breweries, Ireland, Porter, stout. Bookmark the permalink. Cheers, they tasted good too!